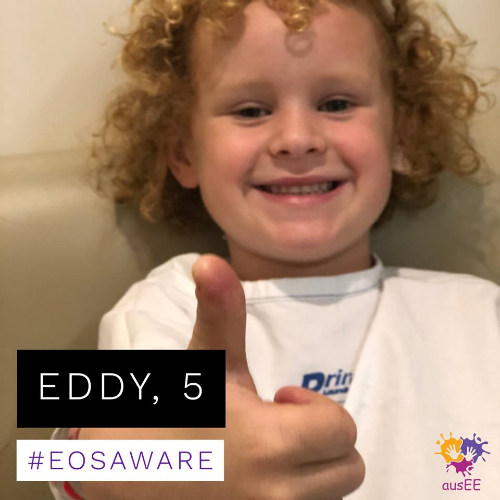 Eddy, 5, has eosinophilic oesophagitis (EoE), but his mum says he still manages to smile despite having coped with four endoscopies so far, and “days he can’t move”. Australian charity AusEE – which helps those with a rare gut disorder – is among organisations getting involved in the #GivingTuesday buzz. The organisation helps those affected by rogue white blood cells called eosinophils, which can trigger eosinophilic gastrointestinal disorder (EGID), including eosinophilic oesophagitis (EoE). The allergic disease affects something like one in 2500 of us. It can cause serious inflammation and tissue damage in the oesophagus, and symptoms such as difficulty swallowing, vomiting, stomach pain and a failure to thrive. Many children are affected and there is no cure. AusEE president Sarah Gray says the volunteer-run organisation relies on supporters to keep its work going, and runs several campaigns each year, using social media to get the message out. The charity has been involved in #GivingTuesday since 2013, just one year after the event was first held. AusEE boasts nearly 1500 Facebook followers, despite the relative rarity of the condition. Ms Gray says there are good reasons for getting involved in #GivingTuesday. While most donations to AusEE are expected to come from existing supporters, the #GivingTuesday hashtag creates the opportunity for more people to hear about EGIDs for the first time. Maths teacher Eddie Woo, whose YouTube videos have gone viral, is a supporter of the charity. Getting involved in GivingTuesday every year makes sense for us because social media is just such a big part of our communications and fundraising strategy, and it also helps get the message out about what we do,” Ms Gray says. 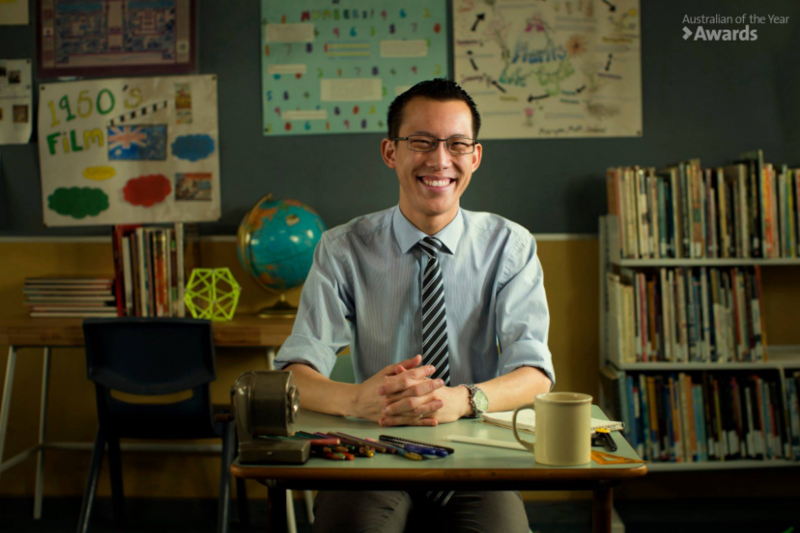 AusEE’s profile helped the organisation win the support of the 2018 Local Hero in the Australian of the Year awards, Eddie Woo, a maths-teaching YouTube sensation known for his channel WooTube, which has more than 460,000 followers. His young son suffers from eosinophilic oesophagitis, and his other two children suffer from allergic conditions too, so it’s something Mr Woo feels strongly about. The difficulties are every day. Eating itself has become a really difficult experience, because eating was associated with an incredible amount of discomfort and pain just to squeeze food and drink down. In addition, there is a social aspect to food that is very difficult for others to understand. Since relationships are often formed through mealtimes, our children have had to struggle with having a complex and cautious relationship to even the simplest social gatherings,” Mr Woo says. This year AusEE is reminding supporters of three options for getting involved in #GivingTuesday, including volunteering, telling their story, or donating through GiveNow.